already established in england, i'm beginning my doctoral studies in design policies at cranfield university's c4d - centre for competitive creative design. and from here i hope to share at least some of what i'm experiencing - as the opening of the observeur du design 10 exhibition - le beau, l'utile, le design - in paris, last 22/10, or the seminar managing as designing: what next? at said business school, in oxford, last week (30/10), or the genuine mining of selected sources, interesting books and documents which is the initial part of the research. while in shangai, on the other side (of the world), my friend bruno porto celebrates today the move to the icograda congress, in beijing, of the 9th brazilian bienal of graphic design, after the huge success it reached at the shanghai international creative industry week 2009 (which can be viewed at his blog loto azul). *designer's day was created in brazil by a presidential decree in 1998, on the birthday of aloisio magalhães, a pioneer of brazilian design who brought a great contribution to establish, inside the federal government, the principles towards a public policy for the sector. lately i've been constantly amazed, while noting that we are finaly starting to live an age of design in brasil. today i took part of a meeting articulated by the secretary of culture from the city of rio de janeiro, headed by the secretary jandira feghali, together with subsecretary claudia zarvos (designer graduated from esdi) and subsecretary washington fajardo, in charge of heritage, urban interventions, architecture and design – a pamphleteer name, according to washington, or consistent with its purpose in the words of jandira. first of all, congratulations to the secretary of culture for a meeting that was so professionaly organized. and thanks for being invited – and heard. the enthusiasm of everyone was so that the meeting ended more than two hours later than scheduled - and almost no one left earlier - and still have gone beyond in a lunch with the secretary jandira and some remainders. everyone was full of ideas and willing to believe once more – and to collaborate too – with the proposition presented for a design reference center, that dealt with present, past and future, helping to get together and plan, with the goal to establish a public agenda for the sector, to define the role of design in rebuilding the city and the self-esteem of the carioca (rio's citizens). creating as rodolfo capeto (esdi's director) said, a design policy of state, more perennial, better than that of a government, which is transitional. but i swear: it's all true ! entering the new obama age, the united states design community, acting together with governmental agencies, has recently issued a document proposing actions towards an official national design policy. 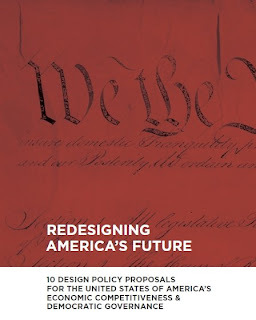 the document redesigning america's future is available at the u.s. national design policy initiative website. there are other important documents to be seen at the website: the summit report and the presentations, that may help to get a broader picture of what happened at this meeting held last november (11th and 12th) in washington. besides other references, their initial discussions were based at least in two older documents also quoted in the website: one about the federal design improvement program from 1972 and also an article written by neil kleinman in 1973 for print magazine entitled design and the federal government. 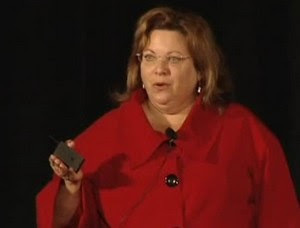 the u.s. national design summit was organized by dr. elizabeth (dori) tunstall, associate professor of design anthropology at the university of illinois at chicago (author of an interesting blog, dori's moblog - take a look at it). this is curious, because i remember that the issue "why the u.s. doesn't have a national design policy?" was brought into discussion during the international forum of public design policies which i organized during the brazil design week last september in rio de janeiro. and in the same month of november (when they have their meeting that resulted in the u.s. initiative) we have brought together several associations discussing the creation of the brazilian design forum, an organism that will certainly help to foster the development of national and regional design policies in brazil. it seems that we are running in synchronicity with many other iniciatives around the globe today. good to know. hope you enjoy all the important links above! in this short video (only 3 minutes long), available through the idsa website, lorraine justice, director from the school of design of the hong kong polythecnic university talks about the raise in the number of design patents in the last years, the proposed changes in the patent laws in china, and how this should influence the design business in the next years.